As a Speech- and Media-Trainer my credo is: What you say is important. The way you say it is crucial to success! …Moderators/Presenters and speakers in radio and television stations, who want to provide their audience with precise information and captivate them by creating precise mood and tension. …Managers, executives and employees of national and international corporations, who want to communicate clearly and confidently. What many people do not know - everyone can improve their speaking skills, can strengthen their personal power of expression and improve their charisma when speaking. For me it is always an exciting process, to discover and experience these resources - the power of breath, voice and body expression with the associated emotions - and make them actively usable for the respective person. If I have aroused your interest - then take a look at my Offer / Media or Offer/ Corporations and find out about my customers and their feedback! Inspire your audience by means of personal expression! You work for a radio or TV station, you are faced with the ever-new challenge, to inspire listeners or viewers, to inform them, to entertain and keep them connected to your radio- or TV-program! "Stay tuned!“ This phrase is the most popular transition to the news program or to commercials. Yet it is usually an almost desperate plea from presenters and speakers. But what is the "secret" that keeps us tuned for some moderators, presenters and speakers, that we literally “turn off” at others? It is the quality of personal expression and charisma that fascinate us - the emotional impulses, that sound through body posture and movement, through gestures and facial expression, through breathing, voice tone, intonation and pronunciation. When these are consistent with what we say, we are more likely to be convinced and inspired by the content of the message. My training approach includes your entire personality. Voice is – in combination with body posture and movement, gestures and facial expression, breathing and pronunciation – more than just an organ for transmitting information. Voice reflects our personality and our state of mood: „Speak, so I may see you!“ (Socrates). You go with intention and good body tension on-air before you start speaking! You have vital media-body language - even on the radio! Your breath is fluent and not to be heard aloud while speaking! You can influence the sound and modulation of your voice! You articulate clearly and naturally! You cope with respiratory and voice stress! You gain confidence in speaking! You have the power of imagination and you are focused on your (imaginary!) listener / viewer! - instead of just reading out a script! - instead of using speech stereotypes! You accompany your words with attentiveness until they reach their goal and… you wait for the echo you evoke - that is what makes pauses exciting! Let my offer convince you and become an earwig and eye catcher! In a non-binding preliminary talk we explore the possibilities of cooperation. Then follows, as a basis for the training, an expression and impact analysis based on an air-check. This results in the individual training program. 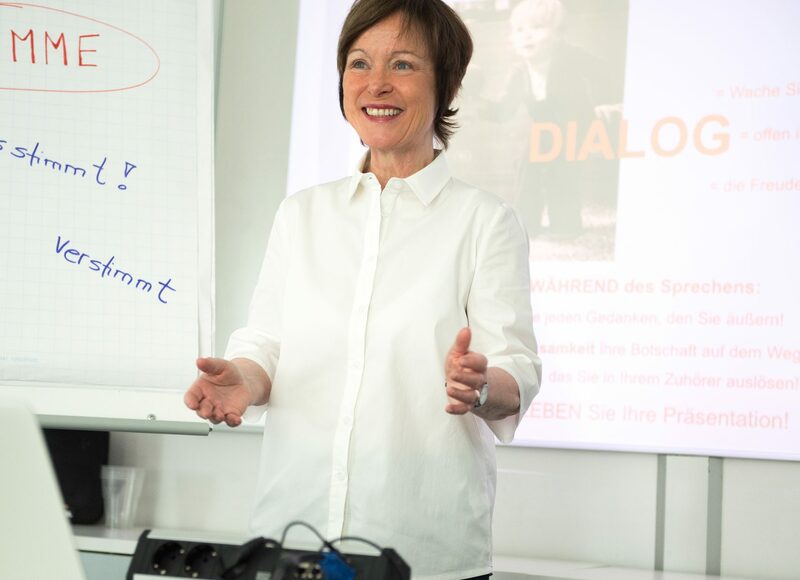 Get to know AS-Speech- and Media-Training - invite me as a Speaker on these topics! 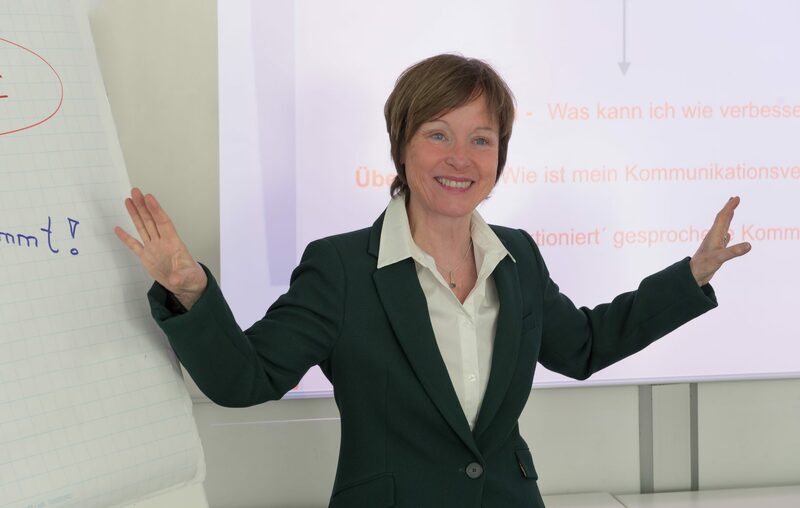 For your international employees and partners I offer all modules and presentations in English. The training is individually tailored to your person and your professional requirements with customized exercises, that I accompany with regular feedback. 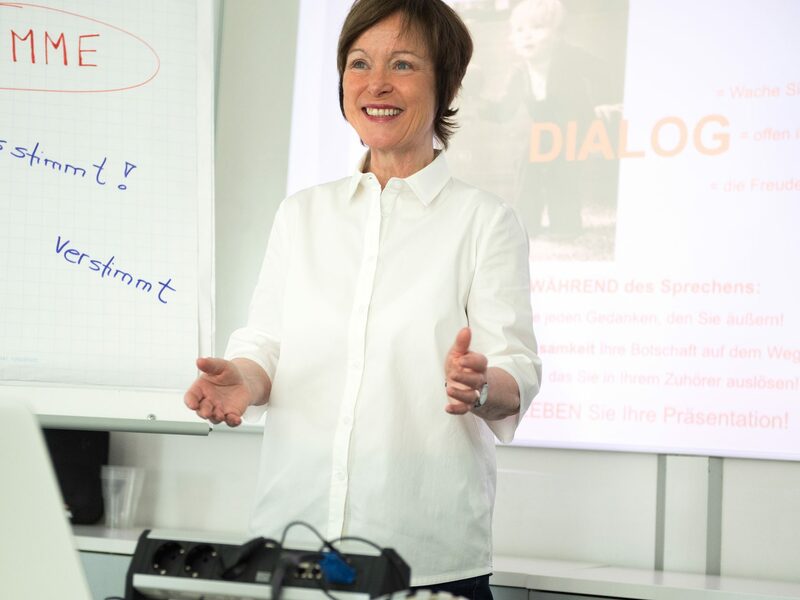 As you constantly enhance your speaking skills, you develop the ability to create a lively and convincing dialogue with your audience. If you are curious now – please contact for detailed information! 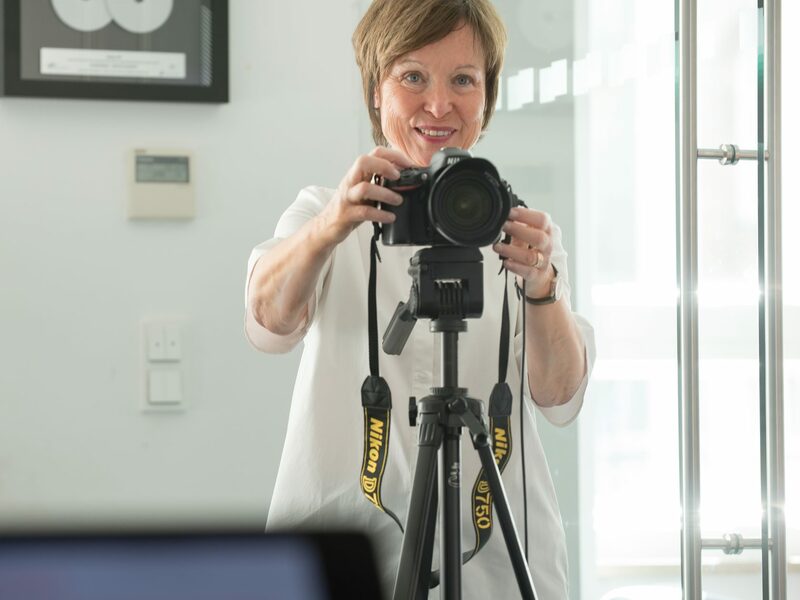 It is part of your job to express yourself clearly and unequivocally, to convince business partners and clients through speech or presentation, to make a supremely good impact in front of a camera and microphone. „No problem – my message is perfect“ - OK then! But is that enough to master these tasks? If body and voice send out signals, which are not consistent with the verbal and emotional message, we tend to believe the body- and voice-signals more than the words that are said! So make sure, your vocal and visual signals support your words. Then can you be sure that your message gets across and the emotional spark leaps over. What many people do not know - voice and body language can be trained individually. You too can strengthen your personal expressiveness and sustainably improve your charisma when speaking. My training approach includes your entire personality. The aim of the training is, to (re)discover the joy of expressing oneself, to be able to argue reliably in every situation with a clear voice and keep the other person in suspense. a camera.This allows you to establish a lively, purposeful contact with your conversation partner. Let my offer convince you! Your personal appearance*: appealing, present, confident! develop the ability to create a lively and convincing dialog with your interlocutor. If you are curious now – please contact for detailed information!.